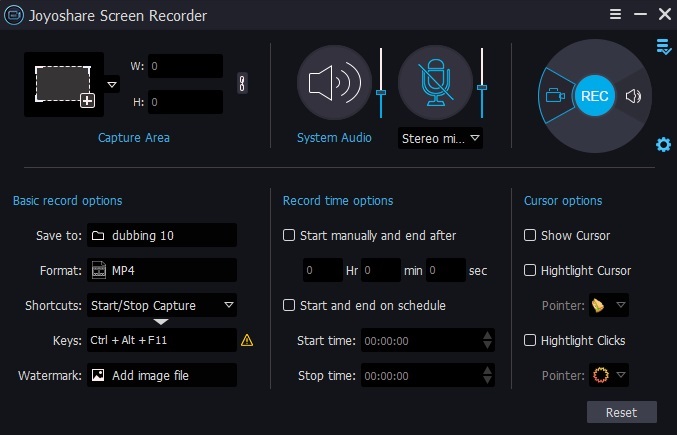 Screen recorders are very convenient and easy-to-use tools for recording the PC screen in no time. These tools come with various features of video editing, live-capture enhancements, audio adjusting, and many more. In addition, these screen recording tools proves handy to those, who want to give video tutorials regarding any task, compose any product's demonstration video for any client or brand or to record any other activity to share it on social media platforms like You Tube, Facebook, Twitter etc. Luckily, there are many screen recorders at present, typically in two categories. The ones that record the screen without any audio whereas the others record it with various audio options and formats. Undoubtedly, the screen recorders with ability to capture both video and audio are in higher demand as they are flexible to meet more requests for different recording tasks. If you are also looking for such a great video capture with audio recording function, this post will give you a satisfied answer. 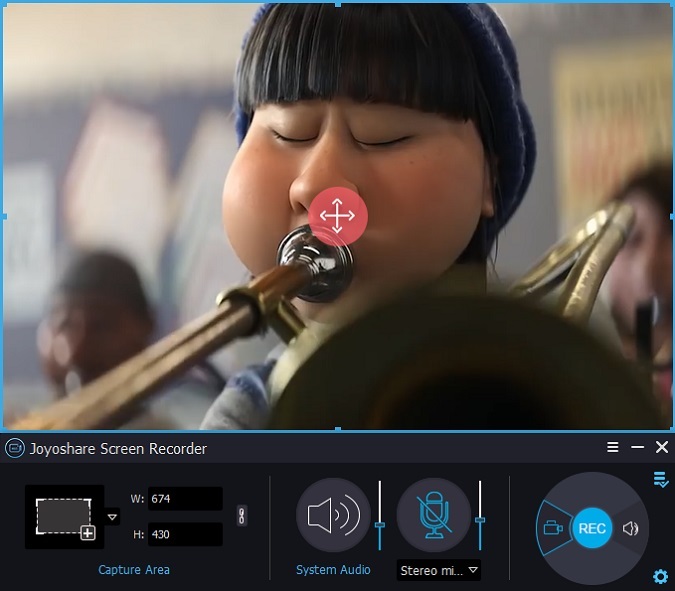 The magic recording solution we recommend here is Joyoshare Screen Recorder, one of the best and easy to use software to record screen with audio simultaneously on PC. 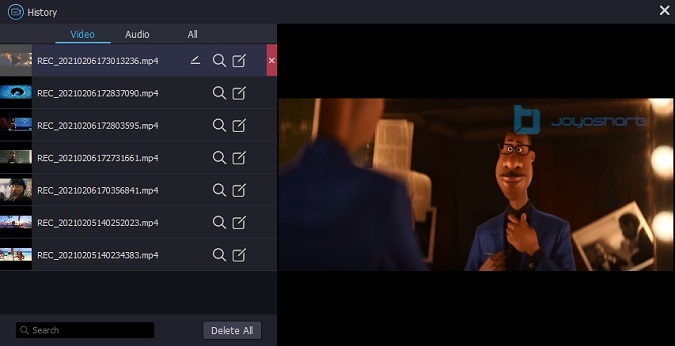 With most advanced screen recording technology, this great screen recording tool is able to help you record any video and audio activity on computer desktop in HD quality. 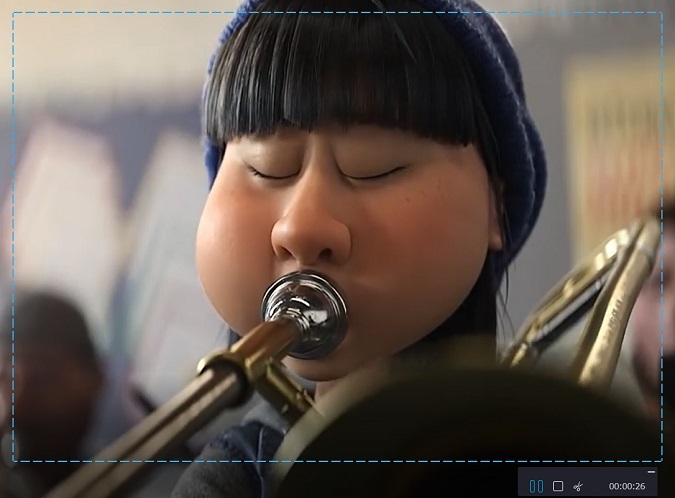 As a comprehensive video capture, it helps in recording any online video call, live-streaming video, game, webinar, etc., making it a perfect tool to record the screen, make video tutorials, extract your favorite music, and more. While recording the screen, it allows you to choose what audio tracks to capture, including the system sound and microphone audio. You can capture both types of audio or either of them during the screen recording. It can also serve as an independent audio capture to record the sound only. Besides, Joyoshare Screen Recorder provides multiple popular output formats and profiles, letting you save the recorded videos/audios in common MP4, MKV, AVI, FLV, SWF, WMV, MP3, AAC, WAV, etc. for Apple iPhone, Android, Windows Phone, smart TV, PS4, and others. Following are the simple steps to record screen video with audio on PC by the help of Joyoshare Screen Recorder. Firstly, you are suggested to download the professional screen capture from on your computer and install it. Once you have done this, double click the shortcut icon to launch it. Press the '+' button on the left part and you'll see a pop up window from which you can adjust the screen size that you want to capture. Moreover, the software also provides some ratios i.e. 320x240, 640x480, 1280x720 etc. There are options that enable you to either record the video with audio or without audio. However, to record the video with audio, there are options to record it with microphone or system audio, once you choose it, simply click the audio track icon next to the 'REC' button. Moreover, the software's audio supports all the popular output formats including MP3, AAC, MAV, FLAC, M4A and M4B. You can also customize the recording file with personalized style. Simply click the 'settings' button to customize the capture parameters all according to you way. You can change the output format, set scheduled task, set up storage place, etc. Once you have selected everything according to your need, you can now record the screen with audio by clicking the 'REC' button. Moreover, you can also capture the screenshots during the recording of the video by pressing the 'cut' button. Once recorded, in the 'History interface' you can preview all your recordings one by one. Moreover, you can also edit the ID3 tags of each audio clips. After that, you can save the recorded files anywhere on your computer or mobile devices for later use.